This is part of a series of messages that were preached at the Regions Beyond India Leaders meeting at Igatpuri . This message is a Questions and Answers session relating to apostolic partnership and leadership in a church. 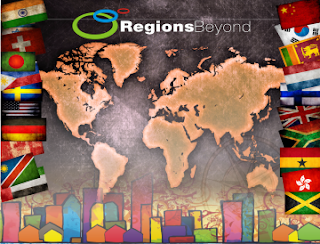 This is Part 1.Regions Beyond, is a part of Newfrontiers Intl. You can listen to the audio by clicking here. What are the characteristics of an apostle? 1. An Apostle is to go into a new areas and open it up for the gospel. 2. Other apostles would recognize them. 3. Local church would receive their ministry . Apostolic ministry is invited in by the local church and not imposed. So you don’t have a ‘national’ apostle and that’s not what we see in the Bible. 4. There were signs and wonders that accompanied them. It’s a reminder that we depend on God. 5. There is never ever any apostolic succession that is passed on from one apostle to another. It’s God given. Steve Oliver’s heart is for the multiplication of the apostolic gifts but it takes time. It would be a mistake to call something apostolic when it’s not. So we have apostolic delegates and see how it goes before we call them apostolic. The apostolic gift is not one distinctive- not exactly the same. Steve Oliver is an apostle who leans more towards prophetic. Stephen van Rhyn is an apostle who leans more towards teaching. So it comes in various shades. At the moment, Steve Oliver is the sole recognized apostle but there are others emerging and Steve’s role is to identify them. Q 1. How do you communicate the Apostolic Partnership to new church plants where no direct apostle is seen? A. Do Phil 1- we are a people who are in a bigger narrative and speak of how you are connected into Apostolic Partnership. If you are building it yourself, they will not know about Apostolic Partnership. When you go back, gather your leaders and share the things that God has impacted you for the next season so that you get them caught up with it. Steve Oliver would travel 13 hours to spend time with Simon Petit. Simon Petit came to their church only twice but the whole church knew him. At any opportunity they would take as many people along with them and would pray a lot for Simon and Lindsay- they stayed in touch with Simon. Feed stories to the church all the time. Q 2. What level of involvement should the Apostle have in the day to day working of the church? A. remember that it’s relational. Paul knew the people in the church. In Colossians he wasn’t directly involved but only spoke about a few people whom he must have met. We have to have our levels of expectations real. We believe in the autonomy of the local elders. Because God has appointed them, I trust them. When I am with them, they will ask questions. I have a gift of faith for some people and help to unlock that but the local leaders are responsible. You can ask Apostles about nuts and bolts but it’s really the eldership role. Apostolic ministry is there to cast vision for the future, provide us a plumb-line for doctrine and catches us up in vision. Nuts and bolts is not priority. Ray Lowe is a nuts and bolts guy and is great at that. The Apostle is not a head office. It’s a relationship- they must be accessible. New Frontiers is not into titles, which makes us normal people. When you add a title you get a separation. We go forward- we want to see many master-builder gifts being raised up. We also want key gifts (not apostles) raised up who can carry more weight beyond the local church so that the local church becomes a base for influence for the area around. Q 3. Which apostle needs to recognize an apostle? A. When Terry recognized apostolic gifts there were other apostolic gifts raised. When Paul went to Jerusalem, the apostle gave him the right hand of fellowship. In Regions Beyond when I recognized other apostolic gifts I will call other friends to help recognize them before we set them apart public ally. Q 4. Ephesians 4 speaks about Apostles and Prophets. How do we work out the building foundation with the prophetic? Do we have recognized prophets? A. in Ephesians 4 it is not speaking about the prophets of the Old Testament but the prophetic gift of the New Testament. The prophetic gifts amongst us is key to apostolic ministry. So even in these days we have given a lot of importance to the prophetic. In Regions Beyond the prophetic is a constant friend. I want to hear what God want to say- then we can fulfill it. So the prophetic is key. (Steve R) 1 Cor 12: This is an important scripture. It’s not saying Apostolic is more important than the prophetic. Apostolic ministry creates the context in which we prophesy. The relationship between the two is really important. I am encouraged by the prophetic gifts that tie in with the apostolic ministry. Keep prophecy in the apostolic ministry. It’s good. We have one or two really good emerging gifts. Gavin Northcote is very prophetic. Over all, we have work to do. For a season as we have multiplied into regions we have concentrated on the apostolic. We need to see more prophetic. Terry echoes the same theory- we need to see prophets raised up. For all the gifts- don’t get caught up with a recognition moment but just keep doing it. Create an environment where the gifts are encouraged. One of the things Paul did was always scouting for gifts with the local leaders and those gifts need to be drawn together for training and equipping. At the HUB we want all with the prophetic gift to meet in the morning to stir up these gifts. I did not just happen. I was preparing for 5 years with Terry Virgo- learning and debating. Q 5. Can you explain a little more on New Frontiers India- 2 different spheres? A. When I invited Stephen van Rhyn to come I encouraged him to go and spend time with Vinu and others. Within New Frontiers, we had one recognized apostle, Terry and maybe a few more. Then we multiplied into many a BIG change took place. Before everyone was in Terry’s apostolic sphere. But when Terry stepped aside, 17 spheres emerged. We said to the churches the way an apostle works is through relationship and not geography. So churches are aligning with the apostle you have a relationship with. So you have a apostle with Vinu and us, which have mission and calling together. Because of gifting it will express itself differently. So we must learn to work together. People will try and work against each other- be careful. There might come a time when we will release some churches into another apostolic sphere for the purpose of gospel advance. The key is that it’s all for Jesus. We are not the only show in town. That’s how cults work. It’s destructive. So let’s celebrate each other and speak positively about each other. In August, Regions Beyond which is Steve Oliver's Apostolic Sphere (which is a part of Newfrontiers ) held a Conference in the UK .At the conference Steve O and others shared on what the the apostolic, what is Regions Beyond and how do we relate as different apostolic spheres that share a common history, vision and values. This series of blogs is very useful to helping us understand who we are, what vision shapes us and what the future holds for us.You can find the mp3 audio recording the sermons that we will be summarizing here by City Church Gloucester website. This is message by MARK JONES.You can listen to the mp3 by clicking here. The strap line for Regions Beyond is “diverse family of churches joined in apostolic partnership”. I want to unpack just one word from this strap line- Diverse. Revelation must precede our methodology. If we start with methodology, we will find that we are lacking to do the tough stuff. We need the revelation of the Holy Spirit. We need to hear from God- the very depths of God’s heart which the Holy Spirit searches and makes it known to us. If our starting place is not God’s view, then the end result will not be biblical transformation but instead creates cultural uniformity. That’s not God’s plan. We are to find the heart of God which is to transform societies. The Apostolic ministry is to promote diverse cultural expressions of the Christian faith. Transformation of the mind is not just about your choices but a whole new worldview. Unless this happens, we will have created Christian communities that would have sifted out anything different from us.That is not God’s purpose. If we start doing that we will have black or white churches instead of mixed churched; hearing or deaf churches instead of bended churches; young people churches and old people churches instead of churches of all ages. We cannot separate according to our preferences. If we don’t have a clear transformation, that’s exactly what we’re going to do. God never separated them from the beginning and he is never going to separate them. That’s wrong. We need to be one new man in Christ and declare Christ as our head. In the early church in Acts 6, when there was an issue regarding the feeding of the widows, an apostolic wisdom came in when the disciples said, “Choose from among you to serve.” So the leadership was multi-cultural. Nicholas wasn’t from that place yet he was chosen because he had the right heart. Unless this transformation happens, we are in the danger of having outreach programs that look great on the surface but will not know how to integrate them into the life of the church and it will ultimately crash and burn. This causes disappointment in people because they are lifted for a time only to find the same old issues in front of them. God’s plan is that all things are brought under one head- even Christ. God’s commission from the beginning of time was to multiply and fill the whole earth- this means building culture and reflecting God’s glory on earth. This has never changed. In Babel when the people gathered in one place to be alike- in language and culture etc, God shows his displeasure and he scatters them to the ends of the earth. God doesn’t want us to consolidate. This purpose of God is to be later seen in the promise given to Abraham. He says that through him all the families of the earth will be blessed and that his descendants will be more numerous than the stars of the sky. In Galatians 3 Paul referred to Jesus as the offspring of Abraham. We’re not just a people of Abraham or People of Christ. We are one new man in Christ. In Psalm 2 it says, “Ask me for the nations as your inheritance and I will give you the ends of the earth as your possession” we are diverse because the true church consists of every tribe and tongue under one name of Jesus Christ. In fact, we are not complete until we are diverse. As Steve Oliver said earlier nothing puts the Gospel in display more than the diversity in the church. In Christ, a wonderful mystery is unfolded and a beautiful transformation happens and we have one new man. To build a family that represents the nations of the world. Dave Devenish said, “One new man in Christ is the message of the gospel- not an optional extra for those who like that sort of thing.” It’s not just for those who are passionate about it. If we are not, then we have missed the heart of God. In our church as well, it’s not enough to notice the people who go to different places on mission but we are to engage ourselves in what is going on around us. Some go and the rest enable them to go. We need to move from the place of being inclusive to being integrated. In the Old Testament the Jews created an opportunity for the poor to offer sacrifices. And as they reached the temple, they would be turned down by some official person and calls them unacceptable. So, they are included, and then excluded. This is worse that completely excluding them. We need to challenge ourselves, our methodology as church- are we doing the same thing? Do we call diverse people groups into the church and then they are saying, “I can’t worship here.” Are we pulling them in and then pushing them away by saying, “I’ve got a heart for the poor! Only if they don’t swear, only if they don’t ask for anything, only if they bathe…” This is not one new man in Christ. This is one man/woman, deciding what is acceptable and what is not. In Jerusalem, there were the courts of the gentiles where they were allowed to come and worship God. But it was filled with so much stuff! Sometimes our lives look like that where we just have so much stuff that when God calls us to the Nations, we are not able to go because of this clutter and we exclude the nations from the gospel. Jesus makes God’s will very clear. He fashions a whip and drives out all the people and cattle and says, “How dare you turn my father’s house into a market.” This is reflecting the heart of God to not just include but integrate all people groups to come and worship him. Q. How many people do we welcome and then push away? We’re diverse when we understand how to embrace people into the family without expected them to be the same. There is something precious about people coming together without segregation. Psalm 113 says, “Gods raises the poor from the dust and lifts the needy from the ash-heap.” There is no full stop after that. God doesn’t just want to bring us up and let us down. it goes on- “to make them sit with the princes of His people.” The gospel transforms us, not just feed us. It lifts them and seats them with princes. So let’s give them opportunities to grow in leadership, develop in their God-given gifting and not hold them back because they don’t have an education. Let’s lift them because that’s what the gospel does. We want them to be transformed. Peter stood after the spirit was poured out and said this is what the prophet Job spoke about- that My spirit will be poured out on all flesh. He understood the theology and even spoke in the language of the nations, but he needed a transformation of the heart to fully understand what it means. He gets a declaration from God “what God has made clean don’t you dare call unclean!” But even when he goes to Cornelius’ house he is wrestling with this. As he goes on and the Spirit is poured out, he says, “I now realize how true it is that God does not show favoritism but accepts men from every nation who fear him and do what is right.” He now has a transformation of the heart. I wonder how many of us need to search deep within our hearts and say this- how many need this transformation. Now that Peter had the transformation moment he now needed the integration moment. He says, can anyone withhold enough water to baptize them who have received the Holy Spirit. He embraced them into what was special to him. He did not just hold them at arm’s length. The Holy Spirit is the mark of salvation. If you are not filled with the Holy Spirit, how do we know? Galatians 3 says, every dividing wall of hostility is removed and now we are one new man in Christ. Our challenge this morning is to examine our hearts- that we don’t lose our own identity but we do not insist on others becoming like us. Let them come to Jesus and let the gospel transform them. Embrace them into your heart and not just your actions. We will reach the nations because God’s wisdom is now being known by this one new man in Christ. This is part of a series of messages that were preached at the Regions Beyond India Leaders meeting at Igatpuri . This message was preached by Fusi Mokoena .Regions Beyond, is a part of Newfrontiers Intl. You can listen to the audio by clicking here. Unity in the Church is escatological because it goes beyond this age. h This unity is not something for now but goes beyond it. The Jews had 2 ages- the age gone by where Israel was the chosen nation and brought out of slavery into freedom and fellowship with God and the age to come when Jesus is going to return. We live in the tension between the fallen world where the powers and principalities still operate but has been won by Jesus Christ. In such a world, the church displays the beauty of the age to come. So we need to fight for it.We don't just worship, we worship together. We don't just plant, we plant together.Paul took Timothy and Silas with him and both are from different churches. We need to learn to work together.At conferences we get time to spend with each other and from around the world. a. Guard yourself against insecurity- we need to allow the gospel to shape our togetherness and not have unreal expectations. It means that when we come together, we learn from one another. We may not see one another as much as we would like to, but let that not be a reason to feel insecure. b. We can’t allow relationship to be the reason we are together. We want to be here for the gospel and for Jesus. we are gathered for the gospel.It would be sad it we are good friends and not spread the gospel. We need to keep remembering why we are together otherwise some will go back to what they were. In the phase that Regions Beyond is it is important that you are clear or when we do mission you will get left out. John 14:24 reflects the Trinity which is one and which is on mission. Jesus is our great apostle. The blessing that God gives us is for mission. Do not let it hinder us from actually doing mission. Sometimes we see a church that gets so full of the Spirit and they don't want anything else. The blessings that God gives us can actually hinder us from doing mission. We need to be sold out for mission that is why He sent Jesus to the cross. So if God is sold out so should we. The mission of God is at stake. The church of Jerusalem chose men who were full of the spirit and full of wisdom to go out on mission. The reason they did that is so that the word of Jesus is preached. Advancing of the kingdom in different places- this is our mission.We need to know the reason for gathering so we can go.Joined together we strengthen one another, equip the saints and the gospel will go. We need to train our churches for mission. We should have mission in our DNA. The church exits for mission. All of us are on this mission- some are sent and the others send or equip them to be sent. We bring our churches with us.We need to keep raising leaders.We have the freedom and the commission to preach the gospel . a. Don’t make mission a department in the church. Every single person in church is for mission. Mission is not just for apostles/ teams. b. Don’t be selfish saying you go on mission and I will build the church. c. Mission has t be made a new and fresh topic. We need to refresh it in the church. d. We need to model mission as leaders. It’s for all of us.We need to continue to make mission a new fresh topic or we will end up with stories that are 5 years old. e. Don’t do mission for the sake of mission or competition or just to perform. Do it for Jesus. We need to do mission well and go out of strength. We are partnering for the sake of the gospel. New frontiers transition is going to take time. There are some churches still feeling their way. We are going to multiply and grow and we need skill and faith to maintain what we have and also grow. The great news is that you’ve got a part to play. In the 19th and 20th century, we saw the church grow like never before yet experience more problems than ever before. Nelson Mandela said- "sometimes, it falls upon a generation to be great". We can be that generation. We are one under the banner of Jesus Christ and the gospel. We need to be that generation! This is part of a series of messages that were preached at the Regions Beyond India Leaders meeting at Igatpuri . This message was preached by Fusi Mokoena .Regions Beyond, is a part ofNewfrontiers Intl. You can listen to the audio by clicking here. We have been receiving words of wisdom and prophecy but I don’t want us to go back just having filled our minds with a lot of information. Ask God- How do I put the things I heard in practice? Words that have been brought speak to individuals, churches and us as a family of churches. Regarding Regions Beyond- There was one apostolic sphere, Newfrontiers, which multiplied into 17 spheres as key gifts have emerged. Steve Oliver felt that he would give birth to something that would go beyond South Africa. But before we gather to anything or anyone else, we gather to Jesus. The reason we chat about all this is because of the finished work of the cross. We don’t want to be those who are held back because of loyalty or some form of tradition when God is doing something new. Neither is this a time when we think this is an opportunity to let go of what we have been taught. There is a threat in both. We don’t want to compromise of the key thing that brings us together.there is a danger of not doing what God as asked us to do. Terry is excited about all that is happening. So lets hold on to the vision and values that have been laboured hard for.There is a danger in both extreme and compromise. We are a church planting apostolic movement. We believe the Spirit- filled church is the only way of building church. This means a strong local church built on good foundations- of making disciples and not just converts. Church is the answer to the fallen world- where truth is no longer absolute but everyone believes what they believe. Church restores the gospel. ‘New frontiers’ describes itself as this- A diverse family of churches joined together in apostolic partnership. What does this mean? 1. We are a family yet we are so diverse. We are committed to planting churches in villages, in towns and in cities. God gave us a vision to build churches everywhere. We build churches for the wealthy and poor; young and old; people of all cultures- because God is for everyone. The message is not just for one group of people. We look at mission not as full time ministry but as relevant to people doing business, doctors, lawyers, etc. we want the gospel to be relevant to you.WE do not want to be caught up with idolatry, consumerism where truth is not absolute. We believe the church is the answer.We are a diverse family of churches joined together in apostolic partnership. In a family you may all look alike but we do things differently. We in Regions Beyond are committed to planting churches in villages, towns and cities as well. So we are not just a City Church planting movement. We are committed to seeing the gospel going to wealthy and the poor. We are committed to planting multi-racial, multi- linguistic churches. Our messages is such that it targets people of all age groups.We don't talk mission as just for people who are serving the church full time but to business people, to Christians in the secular world, young and old, rich and poor. Business people have the responsibility to advance the gospel. Some may be called to the towns and others to cities and some to villages. We are committed to the village as much as to the city. So we have a church in the mountains in Lesotho a church under the tree and in a 5 Star hotel. That’s how diversity is going to work to reach the diverse world. It takes skill to do different things and God needs to give us this skill. So when we come together, we don’t undermine one another. Only Jesus can unite us. Many movements have decided to go to cities alone. But God has called us to evangelize the world.the way I see it its like a juggler - it takes skill . That's pretty much what we are doing and its not for the faint hearted. What we are doing will take people who are grounded in the gospel and interested in making Jesus known, transform lives and bring them together. a. There is a danger of compromise- we might build churches who are exactly like us. It takes skill to build a multicultural community. And when we are challenged with this, instead of asking help from the Holy Spirit, we may compromise. b. We may treat church as a part of the consumer-driven world. We need skill from God to reflect the gospel that Jesus gave. Consumerism is "come to Jesus and he will do this and that for you"We can have people who just consume our message and are not disciples. WE need to build church that will reflect what Jesus has accomplished on the Cross. c. We can’t emphasize on diversity alone. There are many different values of a church and diversity is one of them. It’s not the only distinguishing factor. We must embrace all the values.So diversity is not the only thing we talk about. there are many other values and God lives the church and is empowering us to be missional. If we only emphasize one value we become unstable . But this value is needed to restore a fallen world. Paul to Timothy asks for John Mark. Ephesian elders - Paul shares his heart with them. " Now that I am going to Jerusalem, protect yourselves from savage wolves.."
i. Unity of the church is very important. The cross has made what is impossible possible. Because of Jesus tow can become one. Its not unity that we talk about but what we do. This is part of a series of messages that were preached at the Regions Beyond India Leaders meeting at Igatpuri . This message was preached by Stephen Van Rhyn. You can listen to the audio by clicking here. We get a wonderful description of what a church looks like. The church is made up of saints together with elders and deacons in apostolic relationship for gospel advance. Some churches are just made up of saints and don’t have elders or deacons. Some have elders and deacons but have no apostolic relationships or are in apostolic relationship but the apostolic ministry is not about gospel advance. In Philippians I see the best practice modeled. The common understanding of a saint is that that person has lived an extra ordinary or exceptional life and after the person is dead that person’s bones an heal people. This is not the biblical understanding. What makes up or constitutes a Christian? – The gospel of Jesus Christ and the grace of our Lord. Paul could calls them saints because they were made righteous in Christ Jesus. WE are ALL saints. This is not a small thing but a massive thing. The main that we come across in Luke is that I have not come for the healthy but for the sick. Luke 4 Jesus makes a jubilee announcement when he reads from Is 61 and the religious people want to kill him. Luke 5 The paralytic is brought through the roof. The religious leaders question his ability to forgive sin. Luke 7 Simon the Pharisee a God fearing man who is open to Jesus has him in his home and then this women bursts upon the scene and does something outrageous. In those days women did not let down their hair in public except in private for their husband. She wipes Jesus feet with her tears and Simon thinks ill in his heart. Then Jesus tells a story. Jesus initially tells a story of 2 bankrupt people. Only the grace of God can get us right with God. Only the way ward woman becomes a worshiper. The Pharisee trusts in religion. The story of the Prodigal son is about two sons. The first one does something outrageous - he only loved his father’s possessions rather than the relationship. The father gives him his inheritance and he goes and lives a wild life and squanders it all away. He finally comes to his senses when he is forced to eat the food given to the pigs. He wants to serve his father as a hired hand. When he comes home, the father embraces him and clothes him with the finest of clothes and puts a ring on his finger and kills the fatted calf. The father is not interested in his restitution speech. The older son who obeyed all the rules has the same heart as the younger son. He too is interested in the stuff and wants to control the father by keeping the rules. He felt that this party for his brother was coming out of his inheritance. He loved the things of the father and not the father himself. The squandering son is restored to the father and the son who kept all the rules is left out in the cold. (Luke 15). To all these stories the audiences were the religious people. Your rule keeping will not reconcile you to the father but GRACE alone. Luke 18 . Two people go to pray - a Pharisee and a tax collector. The Christian message is not obey then you will be accepted. The Christian message is you are accepted if you will admit that you are bankrupt - ask for mercy and you will be fully and radically accepted. Then you will be called a saint and adopted into the family. We are not workers that can be fired. We are children of God forever. So remember the people we serve are saints. The message is the good news. The gospel message is so radical and religious people do not like it. A church is made up of people who have been rescued by grace and he brings them together into a family. The New Testament church is not a leaderless community. They work alongside people. Leaders existed in the New Testament. It is not an evil invention of the 21st century. Leadership was a shared endeavor. Paul writes to the elders and deacons- plural. WE see this time and time again. The local church is led by a team of Elders and not an individual. Acts 14:21-23. Paul and Barnabas preach and win a large number of disciples. Verse 23 – Appointed elders. They appoint a team in each church. Titus 1:5 Its not gurus, or superman. Appoint a team. Why? God himself is a team. God in essence is community. Church needs to be done in team. Some people think that this is not doable. If the most mature people in the church can’t work together and differ to one another, how can the church get it right? James 5:14 “Let him all the elders” A team comes and prayer for you and anoints you with oil. Now the team has a team leader but he is a part of the team and not above it. He is the first among equals. This is very important. Church is a community saved by grace with team leadership. This helps identify emerging elders. Acts 20. Paul calls for the Ephesians elders to meet him and in conversation he reminds them that God has anointed them. Paul knew that that was the sovereign work of the Holy Spirit. When Ephesus was told by Paul that he would not see them again, they were very sad. Good apostolic ministry makes you very sad when they leave. Bad apostolic leadership makes you cry when they arrive. The Philippian church had the same relationship with Paul. Paul thanks God day and night for the partnership they had in the gospel. Partnership is an important word. Christians can get superstitious in business. Churches are meant to be in partnership. You benefit from the successors. And you are invested in it. What Steve O and Regions Beyond does, you do. Their victories are your victories and their losses are yours. Paul was interested in catching up the local church in global mission. If you are not interested in global mission find another apostle. Are you after an easy chair apostolic ministry? Apostolic ministry will catch you up for apostolic advance and regions beyond. We have one life and we need to do it right. Phillipians Ch1 is the blue print. This is the model that we want to model and that we want you to model to others. We may not go physically but we can partner in prayer, financially and in going. We are share holders in what god is doing in another part of the world. He who began a good work will bring it to completion. Be patient. Jesus raises up elders. Gospel partnership, for gospel advance. Steve Oliver is a team man. Life is short and you need to throw your lot in, sign up, join the partnership for gospel advance. This is part of a series of messages that were preached at the Regions Beyond India Leaders meeting at Igatpuri . This message was preached by Steve Oliver who leads this apostolic sphere Regions Beyond, which is a part of Newfrontiers Intl. You can listen to the audio by clicking here. At the prayer meeting this morning, I felt in God that this is a season for us to engage against the enemy. Time has come when the commander says, “Enemy on the hills, let’s go get them!” where there is sickness or poverty, we are to go against it in the name of Jesus. Its not a time to just hold ground but to engage the enemy.Its a big shift and this is what God has put on my heart. This is another hinge moment- when there is a shift. In the Bible there are some hinge moments- the Pentecost where the Spirit came as in tongues of fire and there were frightened believers that then went into all the world. Peter’s vision at Joppa where his racist heart was exposed and a massive shift takes place, Paul on the Damascus road, falls flat on his face and he become the greatest gift the church has ever received. etc. These are hinge moments of very positive change. During the American Civil war, over the abolishing of slavery, there was a battle called as "The little round top". As insignificant as it sounds, it was the one that won the war. It was when a professor of Philosophy and a group of exhausted soldiers, with no ammunition left with them, see the enemy approaching and instead of giving up, decided this- I want to finish this having fulfilled what I’ve been commissioned to do. When the enemy advances, the professor shouts “let’s go!” and everyone came to the mountain top at once- by the sheer surprise, the enemy surrendered and they brought the enemy down together. They brought the enemy down because such was their unity and belief in each other. In that battle there was a hinge moment.That was the battle which won them the war. We are at such a moment. Something has changed in us. We also want to be like these soldiers, to fulfill what we’ve been commissioned to do. But there are a few things we need, to be able to do this. Look at your promises. David goes in for Zion because it has been promised to him. When they say “even the blind and the lame can ward you off” David understands the prophetic significance. Before us is the greatest adventure. But these are the things we need in order to do what is to be done. Verse 10 these were the chiefs of David. They were together. This is the key. Verse 18 – The 3 broke through the Philistines lines. We see a moment when everything changed for David and his men, They were being pursued- it is a terrible feeling. Before us lies the greatest adventure of our lives . this morning we spoke about Eretria, Cape town etc. There are 7 things in this story that I want us to look at and learn from: Our impact as Regions Beyond will be determined by these things. 1. Unity: 1 Ch 11: 1- “All Israel came together” It is not the name- regions beyond. It’s not superficial unity. The team, unlike a cricket team, knows you. Our unity is different. It breaks my heart when people with the anointing of God get caught up with wrong thinking. We can show the world what peace looks like. Jesus destroyed every dividing wall between us. Always believe in the best, trusting God. That makes us one. In Philippians Paul says, if you have gained anything from Christ… be one in Spirit and purpose. Our understanding of God makes us one. David found this unity. Ephesians 2:4 says, “for he himself is our peace, who has made the two one and who has destroyed the barrier, the dividing wall of hostility.” We need to live in this peace of Christ. We are all equally sinners- so we come to the same savior. We have the same enemy. You are going to find the person you don’t like your neighbor in heaven! When we are apart remember how we loved each other when we were together. Stay in that place and don’t let the enemy play mind games with you. Let’s go worship our God! Our unity is key. 3. Godly anointing- in verse 3 we see that as all Israel gathers and proclaims that they are his own flesh and blood, they anointed David. Godly anointing – they believed in the presence of God through the work of the Holy Spirit. They only enjoyed it to a measure but today it is for all of us. Whatever we do, we need to constantly seek after, received and give away the anointing of God. Our words will never be enough. Politicians are full of words. They need to be followed with the anointing of the Holy Spirit. 4. Gifted people- mighty men are raised. It is important to recognize and raise up gifted people. God will raise up more mighty men and women. 5. Verse 10 -Building teams- “Strong support” who come together for common vision. In verse 10, “they (the leaders), together with all Israel, gave his (David’s) kingship strong support…” this means teams of New Testament leaders who support the mission as they come together in common purpose- the advancement of the Kingdom of Jesus. Develop team. We are not in the gae of Kings but anointed New Testament leaders. 6. Promises- We have so many promises. ‘Just as God promised’. We have individual and corporate promises. 7. Great exploits together verse 18 they did great exploits together. The armies of God break through the Philistines lines.